ONCHAN, Isle of Man – January 11, 2018 – Nine millionaires were created in 2017 at PokerStars Casino, a record for one of the world’s fastest growing online casinos. Seven players pocketed seven-figure sums from PokerStars Casino in-house developed slot games Millionaires Island and Stars Mega Spin, which paid out a total of more than $10.3 million. The largest jackpot paid out to date through PokerStars Casino is more than $2.5 million. Three million-dollar jackpots were won in December, starting with ‘beckskr’ on December 10 who struck the jackpot playing Arcade Bomb to head into the holiday season $1.8 million richer. Describing the win, ‘beckskr’ said “It just felt like it was not real”. After wagering just $0.50 on Millionaires Island, Ukrainian player ‘aHare75’ struck gold on the popular progressive jackpot slot on December 26 and won $2,510,318.95. It’s the largest jackpot amount ever won at PokerStars Casino. Just days later on December 30, PokerStars Casino’s newest in-house developed slot Stars Mega Spin awarded its first jackpot. Stars Mega Spin sent one lucky player into 2018 in style paying out more than $1.4 million just weeks after launch. 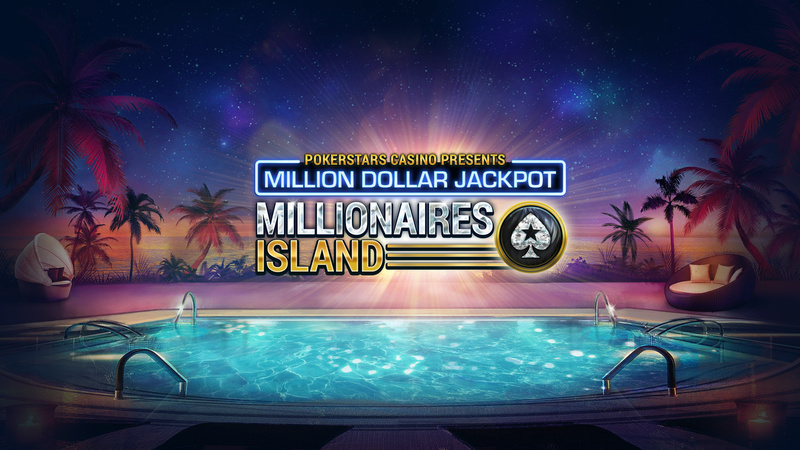 Millionaires Island lived up to its name by striking for six out of the nine millionaires made in 2017, the most out of any slot game at PokerStars Casino last year.